How Will I Deal With Lung Cancer? There are two main types of lung cancer: Small Cell or Non-Small Cell. The type of cancer and how advanced it is will help determine the best course of treatment as well as well as the symptoms you'll have. After a diagnosis, a recommendation based on the stage of cancer will be made. It's important to realize that regardless of where you are when you get diagnosed, there are strategies that you can use to help you deal with symptoms, side-effects of treatment, discomfort and to strengthen your body so you can improve your quality of life. Those who are diagnosed with lung cancer most often experience a chronic dry or productive cough, shortness of breath, sometimes difficulty swallowing, weight loss and a hoarse voice. Other symptoms may also be present. Your physician may recommend: surgery, targeted drug therapy, radiation, chemotherapy or a combination of the above but most people want to know what else they can do. There are strategies that can help facilitate the treatment recommended by your doctor, and help you better cope with the side-effects of that treatment. 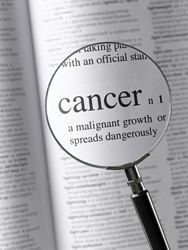 CancerFightingStrategies.com provides helpful information about various strategies, regardless of the diagnosis or stage. Learn about dietary suggestions and supplements that help boost your body's ability to fight as well as to help you feel more energized. How you feel is important when cancer treatments can create nausea and fatigue. Now is the time when you need to be as strong as possible and as knowledgeable as possible so that you can fight. Having some additional Cancer fighting strategies can help you, regardless of the prognosis.